A few years ago there was a minor kerfuffle that made its way into the pages of the daily press: the Royal Air Force Museum had handed over a Spitfire Mk.22 to aircraft restorers Kennet Aviation as payment for retrieving a gem from the Sahara. For it was in North Africa that an almost perfectly-preserved Curtiss P-40 Kittyhawk had been discovered, 70 years after it force-landed. The Kittyhawk’s pilot, Flight Sergeant Dennis Copping, made a controlled landing in the desert which he survived. However, the Western Desert is a vast and inhospitable place in which Copping died without being rescued. His body has never been found. 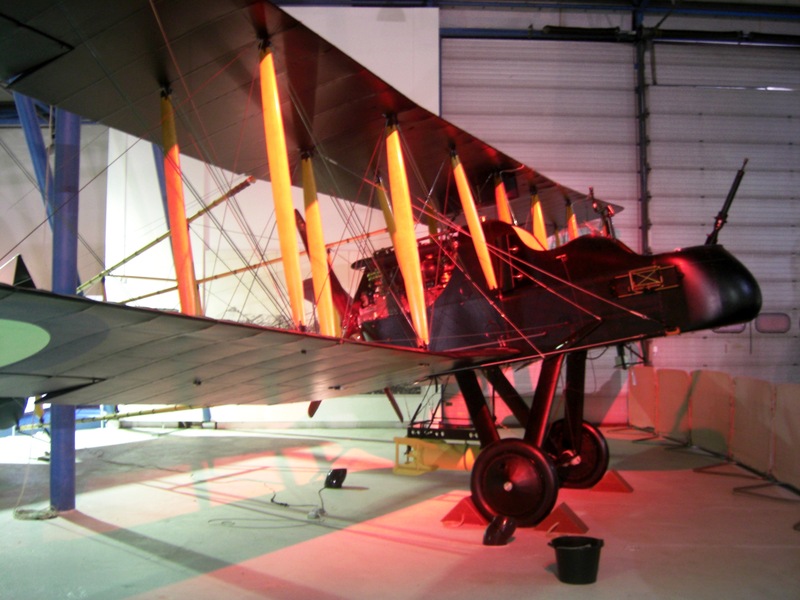 Once Copping’s aeroplane revealed itself, however, preserving it became something of a fixation at the RAF Museum. 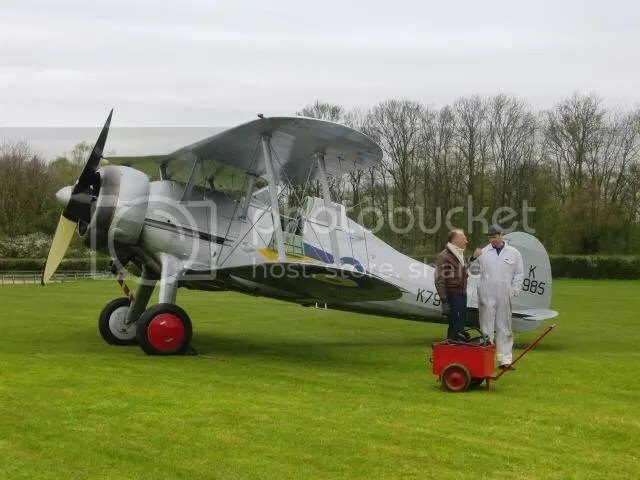 In this quest, the museum believed that it had found the ideal partner in Tim Manna, a former US Navy reservist who moved to England in 1989 and now rebuilds old aeroplanes in Essex under the Kennet Aviation banner. The RAF Museum agreed to trade a stored Spitfire Mk.22 with Kennet in return for the long-lost Kittyhawk. A Spitfire Mk.22 is not the most desirable of the breed, but a complete airframe with history holds value – somewhere around the £200,000 upwards mark – and with restoration to airworthiness that figure increases by four or five fold. 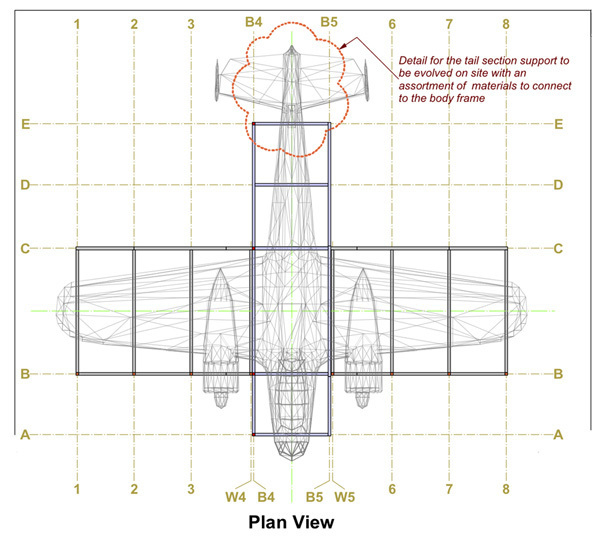 For the Spitfire in question, PK664, this would prove to be its 15 minutes of fame. It did not see service during World War 2 as it only reached No.39 MU in December 1945. It sat around for two years before being sent back to Vickers for upgrading with a Griffon 85 engine and 6-bladed contra-rotating propeller. After another two years of standing idle, PK664 was refitted and finally issued to No.615 (County of Surrey) Squadron based at Biggin Hill in May 1949. In August 1949 it suffered an accident while in Germany, with the resulting damage being given RAF Category 3 – meaning indefinitely out of service. It was returned to 615 Squadron in early 1950, where it flew on until December of that year. Shortly afterwards, PK664 went back into storage at Vickers pending disposal. Nobody wanted secondhand Spitfires in the late 1950s, however, so she was stuck on a plinth outside RAF Waterbeach as a gate guardian for most of the 1960s; being removed for maintenance and the occasional repaint. Later she was partially restored (and presumably given a Hamish Mahaddie makeover) for duty on the Battle of Britain movie. 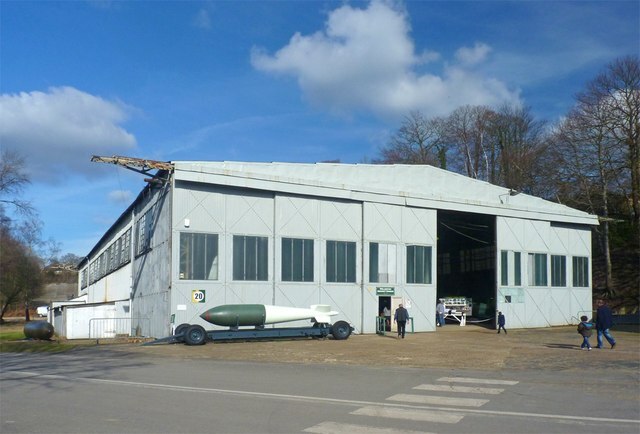 She then went into storage at RAF St. Athan for much of the next 23 years before being transferred to the RAF Museum. 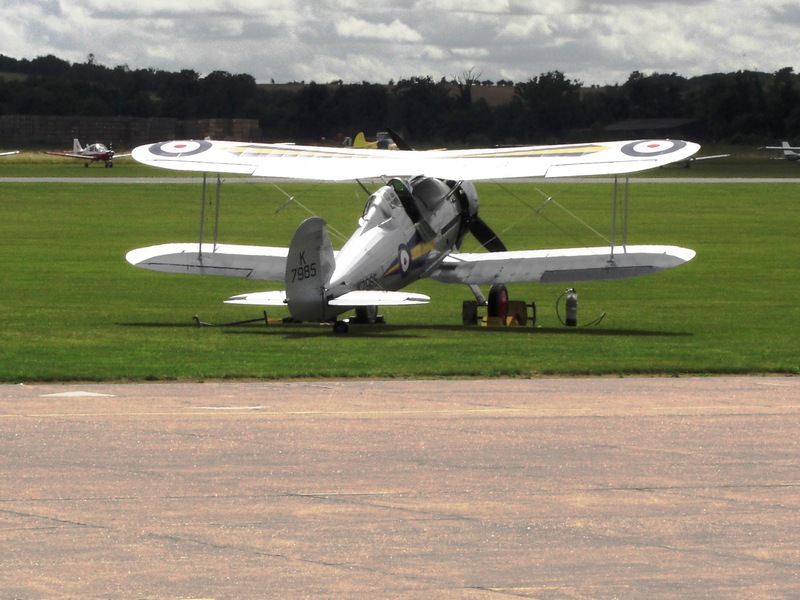 In recent years it was on display at the Science Museum, but departed for Kennet Aviation in 2012. The only problem was that the Kittyhawk and the patch of sand in which it had lain for all those decades were in Egypt. And Egypt likes to have lots of paperwork and red tape around the place, so matters of this kind tend to be processed in a leisurely fashion. Meanwhile, there was something of a revolution going on and the Kittyhawk paperwork was an early casualty in the throes of Egyptian regime change. Here the story ended, as far as the world was concerned. The RAF Museum was in some disgrace for handing over a Spitfire to Kennet without any apparent guarantees and it got nothing in return but a barrel load of tabloid invective for perceived naïvety and ineptitude. Two years later, the RAF Museum is being treated to a second helping of opprobrium in the press after the Egyptian-run El Alamein Museum proudly put its newest exhibit on display – Flight Sergeant Copping’s Kittyhawk. Rather than preserving the lightly-damaged machine, it has been treated to a restoration that looks like the first 1/72 kit ever attempted by the S&G. Aged seven. Missing panels and the absent propeller have been replaced with ungainly fibreglass and wood structures, then the whole lot has been vigorously painted in an approximation of RAF Desert camouflage – which this P-40 never wore. Like many RAF aircraft in the desert, it retained the Temperate Land Scheme of Dark Green and Dark Earth over Sky… like this model of an earlier Tomahawk is sporting… and it never had the shark’s mouth markings, either. So it appears that the Kittyhawk’s fate is sealed. Even if the great gobs of emulsion and filler could be removed from it, the patina and uniqueness of the wreck have been utterly destroyed. Probably the greatest hope left for its long-term survival is that it can be bought by an aircraft restorer and rebuilt to flying condition. But where is Spitfire PK664? Apparently it is still in a shed in Essex, appreciating in value day-by-day. 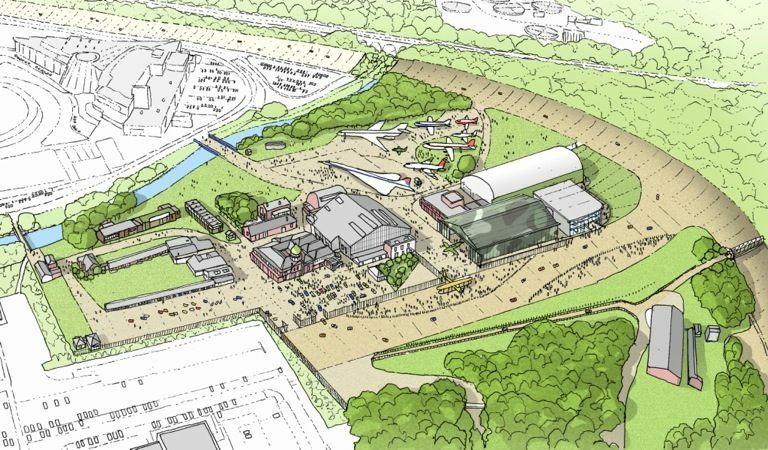 Which would make Kennet Aviation the winner in this sad little saga. Well, they said that they’d do it and now they’ve done it. 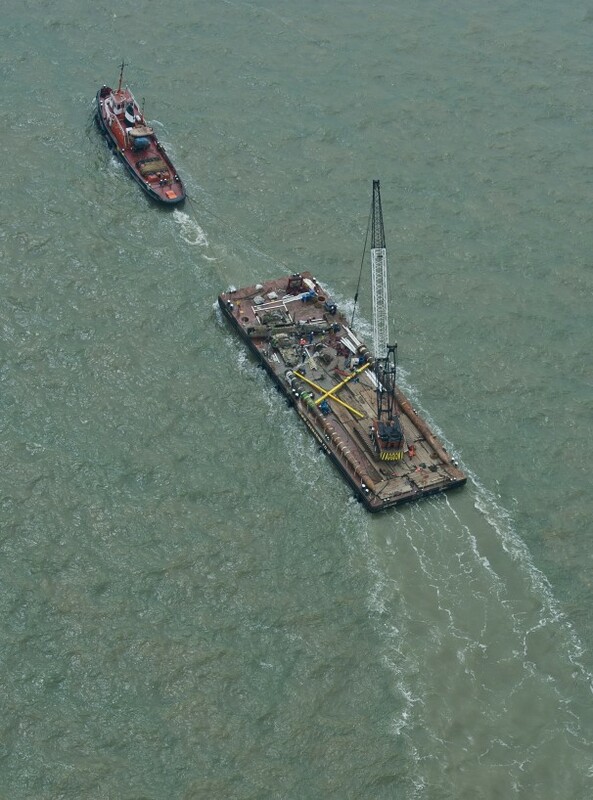 The RAF Museum has raised the last Dornier Do17 on Earth from its resting place on the Goodwin Sands. There were setbacks and dramas during the lift period, but the corroded and barnacled hulk was lifted almost complete after almost 73 years lying under the rampant tides of the Channel. The tyres were still inflated and there was still grease in the propeller gear, but one could divine a certain sense of disappointment among the attendant media that this was all that they were going to see. Now the Museum’s job is to stabilise the metalwork before it can go on display, unrestored, for future generations to marvel at. 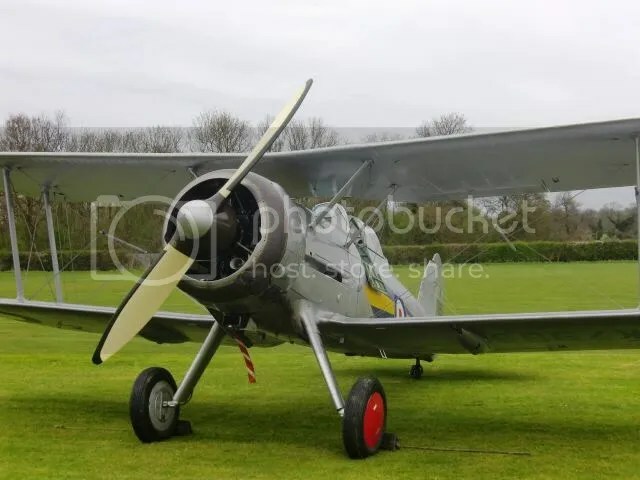 L8032 was the last Gladiator I airframe built from the initial order made in 1935. All the components were built in 1937 but not actually assembled until 1938. Like her sister aircraft from this final batch, now on display at the RAF Museum, the completed L8032 immediately went into storage as the more modern Hawker Hurricane monoplane and soon-to-arrive Supermarine Spitfire took precedence in Fighter Command’s attention. In the autumn of 1943 L8032 was brought out of storage and sent to 61 Operational Training Unit in readiness for a new job with a film unit called Independent Producers, which was to use the aircraft to shoot scenes for a film of the book Signed With Their Honour. This was to be a ‘factional’ retelling of the story of 80 Squadron and its Gladiators which fought to the last man and the last aircraft in the retreat from Greece and Crete in 1941. Remarkably, all three complete surviving Gladiators – including The Fighter Collection’s N5903 – had an active role to play in the movie and were assigned to 61 OTU while the film was made. Two Gladiators were lost in a mid-air collision during filming but the survivors completed their tour of duty as stars of the silver screen before being mothballed once again. L8032 would emerge once more in 1946 when she was put on display in Hyde Park. On 16 March 1948, L8032 was struck off the RAF’s charge list and bought back by the Gloster aircraft company along with N5903. Clearly the ailing Gloster company had no real idea what to do with these old machines and in 1950 both the Gladiators were delivered to Air Service Training for use as instructional airframes at Hamble and Ansty. When RAF Ansty closed the two old aircraft were bought by Viv Bellamy for a nominal sum and L8032 was restored to flying condition using the engine from N5903 and the civilian registration G-AMRK. In 1956, Gloster decided that it wanted its aircraft back again and bought them from Bellamy, refitting L8032 was in full military specification and painting her in 72 Squadron markings, albeit with the fictitious serial K8032. 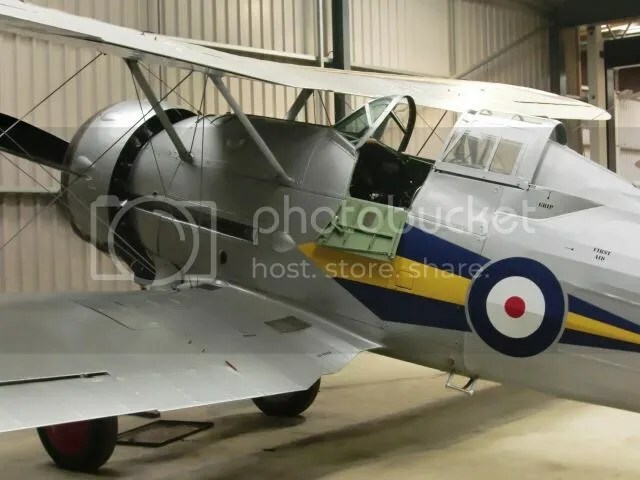 When Gloster Aircraft finally closed for business at the end of 1960, L8032 was presented to the Shuttleworth Collection for safe keeping – and has remained there ever since. After many years of service she was completely overhauled in 1990 and repainted in a camouflage scheme of 247 Squadron, the only Gladiator unit to take part in the Battle of Britain. She wore these colours until 1996, when another new skin saw her returned to pre-war silver in hue – albeit in Norwegian markings for another film appearance. Finally in 2007 L8032 re-appeared in the colourful blue and yellow flashes of K7985, a 73 Squadron Gladiator that was flown with memorable vigour by the future WW2 ace ‘Cobber’ Kain at the 1937 Hendon Air Pageant. It is these colours which she carries to this day, and which are about to be replicated by a new model kit by Airfix. The Goodwin Sands, a 10-mile sandbank off the coast of Deal in Kent, have always been a place of mystery. 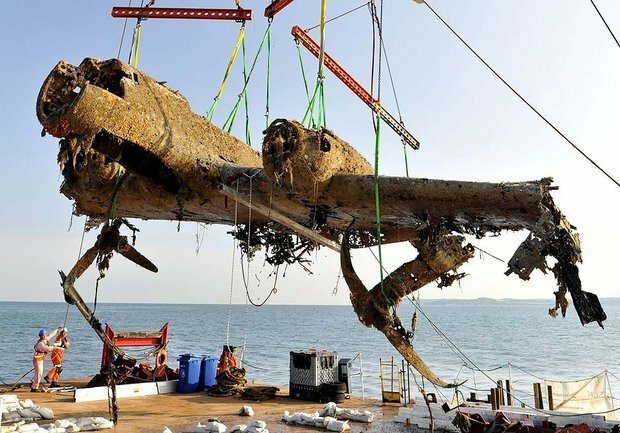 Shakespeare declared that ‘the carcasses of many a tall ship lie buried’ on them – and now it seems the last Dornier Do17 ‘flying pencil’ bomber is also there too. The bomber was discovered in 2008 and confirmed as a Do17 in 2011. It has been confirmed as Dornier 17 Z-2, serial number 1160, of number 7 squadron, III/KG3, which was shot down by a Boulton Paul Defiant of 264 Squadron on 26 August 1940 and made an emergency landing in the sea. Two of the four crew members died and two – including the pilot – survived to become prisoners of war. 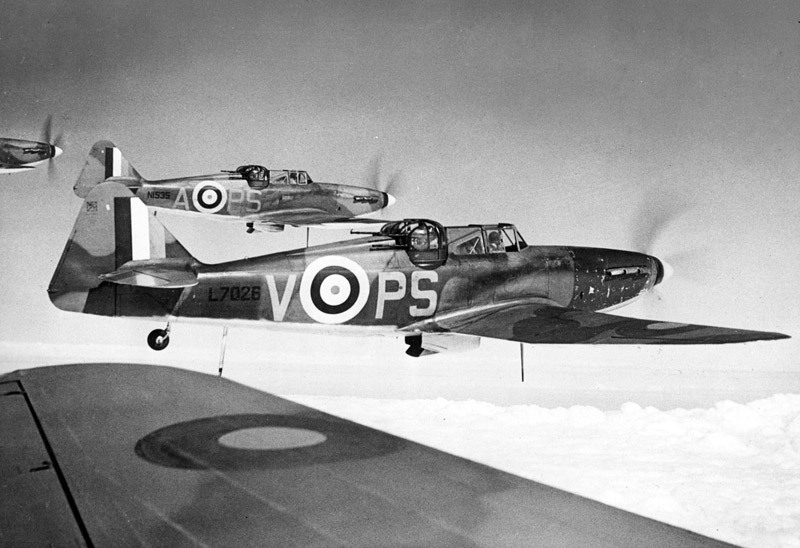 Three of 264 Squadron’s ‘turret fighters’ were also shot down in the engagement by defending Messerschmitt 109s. Despite the water being only 50 feet deep, the Dornier turned turtle as it sank and came to rest on the bank. The sands quickly covered it and there it has lain in tranquility – until now. The RAF Museum is preparing to raise this last surviving ‘Flying Pencil’ and conserve the wreck in its current state. Subject to weather and equipment serviceability the operation to recover the Dornier will take place in May-June 2013, from where it will be transported to the RAF Museum’s Conservation Centre at Cosford. A bespoke lifting frame will be employed to retrieve the Dornier from the seabed, with the modular structure also being employed as a transport cradle. Very few Do17s survived the war and those which did were quickly scrapped. The Finnish air force retained several until the 1950s but these were also scrapped, making this the last of the type left anywhere in the world. In the days immediately before World War 1 an accidental discovery was made: if low viscosity oil inadvertently found its way into a hot exhaust it would vapourize, creating a vast and dense cloud of white smoke without any real detriment to the aircraft. In these early days of flight, any such discovery was investigated for its possible usefulness in war – in this case smoke signals to ground troops or a defensive ‘fog’ to confuse attackers. An aspiring aviation engineer at the time was one John Clifford* Savage, born in 1891 and apprenticed to Claude Grahame-White in 1909. Savage had a flair for the theatrical and broke off his engineering career in order to become manager and agent to B.C. Hucks, the first Englishman to loop the loop. It was not until the early days of hard-won peace that the idea of making smoke trails was revived. During the war, Savage had been a lieutenant in the wartime Royal Naval Flying Service, rising to become a major in the new Royal Air Force, but with the onset of peace he was wondering what to do with his future. By 1921 ‘Mad Jack’ Savage had revisited the idea of producing smoke and experimented with making first shapes and then letters in the air… and the art of skywriting was born.The entrepreneurial airman went in search of an aircraft fit for the job, and settled on the Royal Aircraft Factory S.E.5a. This was not the most agile fighter of the war but unlike the Sopwith Camel it had a Wolseley Viper V8 engine that was easy to fix and which had a capacious pair of exhaust pipes. In addition they were in plentiful supply – more than 2500 of them had been sitting around since the end of the war and were available to buy at what amounted to pocket money prices. Savage snaffled up 33 of these unwanted old fighters and converted them to his bespoke skywriting specification at his Hendon premises. When selling his services in later years, Savage declared that, as a wartime fighter, the S.E.5a was ‘designed and built to be eight times stronger than is needed to endure the stresses of sky-writing’. The rechristened ‘Savage Wolseley S.E.5a’ had extended exhaust pipes that linked together through a hole cut in the tail and, suitably lagged with asbestos, this modification acted as the nib in Savage’s aerial pen. The smoke-generating oil was stored in front of the cockpit where the machine gun previously sat and delivered by a new control on the instrument panel while the pilot’s headrest was removed in order to give him a better rearward view of his handiwork. Finally the old drab camouflage of dark olive upper surfaces and cream linen below was replaced by an all-over silver finish. It was certainly a smash. Among those in the VIP enclosure at Epsom was none other than the leading novelist of the day, Virginia Woolfe, who used the occasion as the opening segment in her next book, Mrs. Dalloway. Flushed with this success, Savage shipped one of his aircraft to the USA. With another ex-RAF pilot, Cyril Turner, at the controls, Savage’s S.E.5a carefully wrote ‘HELLO USA’ in the sky above New York. The following day the silver speck reappeared, writing: ‘CALL VANDERBILT 7100’. The number put potential advertisers through to the hotel where Savage was staying – and the demand for his $1000 service was insatiable. Savage’s business thrived on both sides of the Atlantic. His 33 fighter aircraft were equipped with air-to-ground radio in order for him to give personal instructions to the men at the controls while they laboured away. The biggest European success for Savage’s skywriters came in 1928 when he was employed by German pharmaceutical company Henkel to promote its Persil brand of detergents. The response was swift and impressive. The campaign was such a success that in many European countries a cloudless sky was called a ‘Persil sky’ right up until the 1960s. Whenever there was a sunny afternoon from the North Sea to the Mediterranean, people still half expected a flashing silver dot to appear and make its magical graffiti above them. Savage stayed in business until 1939, although the fleet of S.E.5a’s grew tired and old and Savage invented a night time alternative to using smoke when he created a searchlight advertising beam to display words and logos – doubtless a great inspiration to the creators of Batman! One by one the old fighters were pensioned off – usually going to a breaker’s yard, but not always. 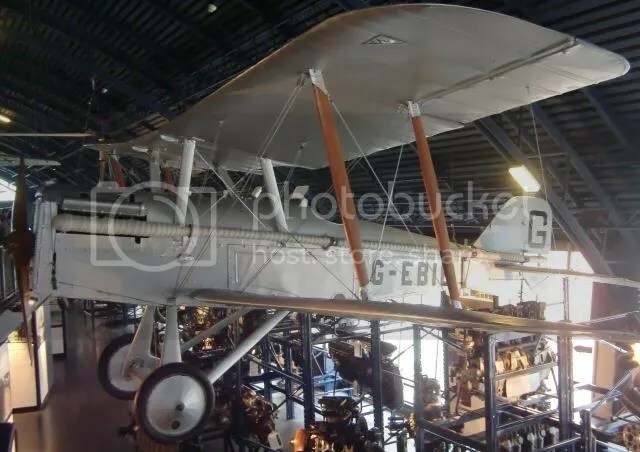 In 1934 two of his aircraft, registered G-EBIA and G-EBIC went to new homes- their first stops on a journey which today sees them, resplendent in their wartime specification, as mainstays of the RAF Museum, Hendon and The Shuttleworth Collection at Old Warden – although more of them later. I have one genuine War time S.E.5a aeroplane left out of a considerable number I used to own. 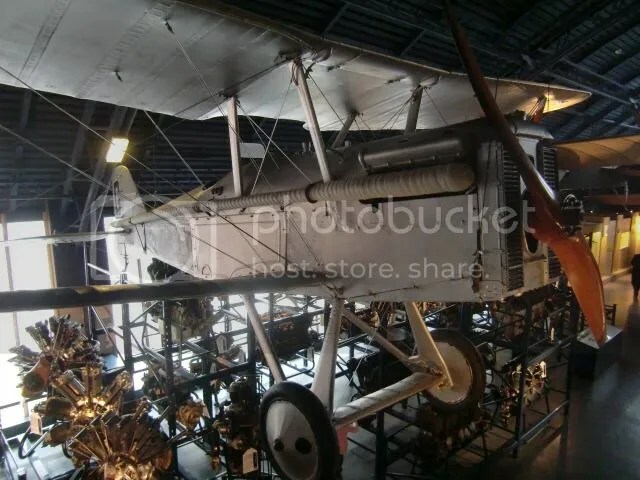 I really cannot remember whether the Museum has a specimen of this really rather historic type of aeroplane, and if it has not I will be only too pleased to present to the Museum the machine to which I have referred above. 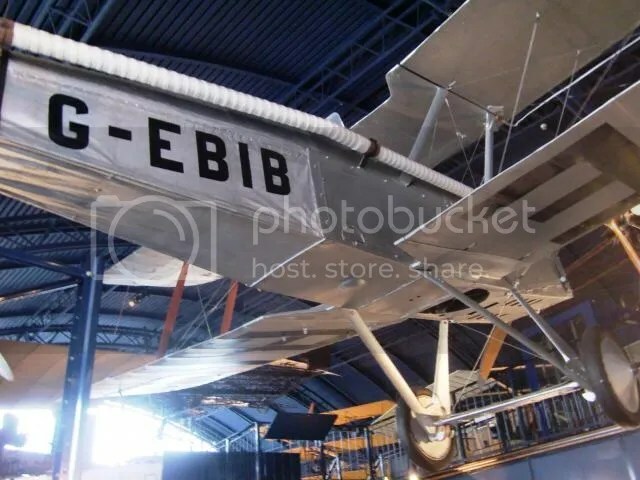 This kind offer was of course accepted, and so G-EBIB has been preserved intact, not only as an example of this legendary fighter of World War 1 but also as an icon of the advertising industry. 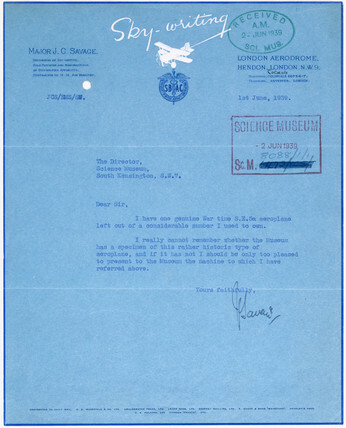 As for Major Savage, he had already added another invention to his CV – the crop spraying aeroplane, which found tremendous use in the USA and Australia in particular. As war approached he redoubled his efforts in developing the searchlight technology which, although outlawed in Britain, had proved to be hugely lucrative in the Americas. Founding Savage and Parsons Ltd as a pure engineering firm, he developed an array of sound locators and searchlights, including the Leigh Light anti-submarine technology, which was to prove vital in World War 2. Our first survivor is this Royal Aircraft Factory FE2b, a type which flew as fighter, bomber and reconnaissance aircraft from 1916-18. It’s quite a work of art and features heavily in Derek Robinson’s brilliant tale of the Battle of the Somme, War Story. This particular aircraft never saw action… indeed it took 90 years to build! The bathtub-like nacelle which holds the engine amidships and the crew of two out in front was built in early 1918 by Richard Garrett & Sons near Lowestoft, but was never delivered. Instead it sat around the factory until 1976 when it was donated to the RAF. In the late 1980s the search began for original components to finally, belatedly build this FE2b into a complete aircraft, gaining an engine and ancillaries by the mid-1990s but then work ground to a halt. Finally in 2007 the 90% complete aircraft was sent off to Retrotech near Hastings and assembled, the gaps filled in and she was given the markings of A6526, which flew night bomber operations with 58, 102 and 148 squadrons in 1917-18. Of course while all this was going on, Peter Jackson built two of them from scratch, using original Beardmore engines and as many original components as he could find! 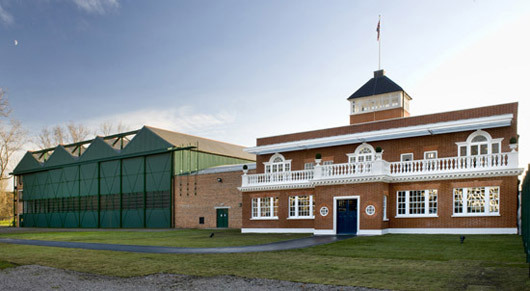 For more information on the RAF Museum, visit the site.